Not long ago, I heard about the Sugar and Cloth Color Wall in Houston...anyone know of it? It's pretty much just a long wall painted with various colors, aaaaaaand it's awesome! 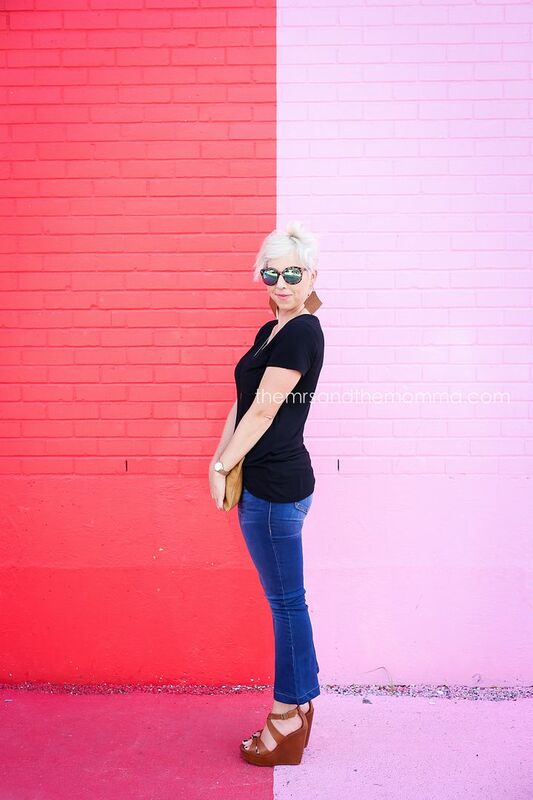 So when we went to Houston this past weekend, I had my mind set to visit the wall for a little photoshoot. The kiddos weren't too keen, but hey, momma got some outfit pictures and that counts for something, right? 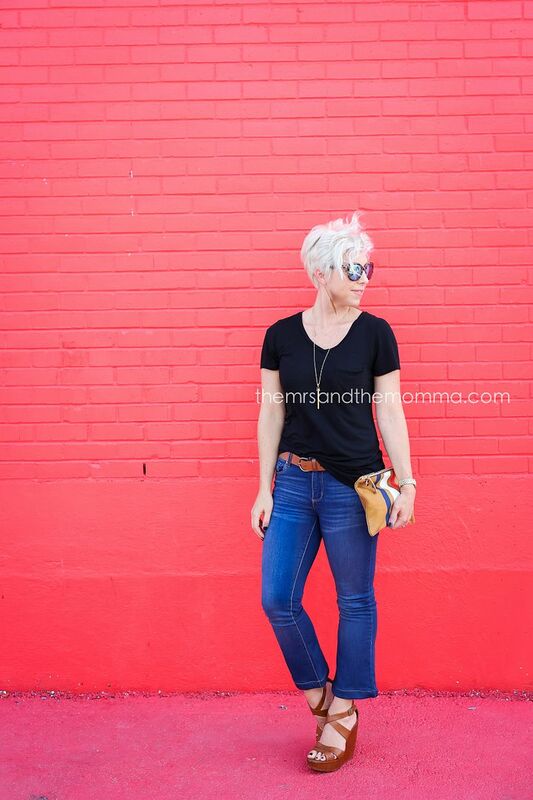 I wore this easy outfit (#momstyle) to my nephew's birthday and I pretty much stuck with my go-to colors...black, cognac, and denim. They never fail me! I was also excited to pair this Clare V clutch I got from a recent blogger event...super cute, isn't it? 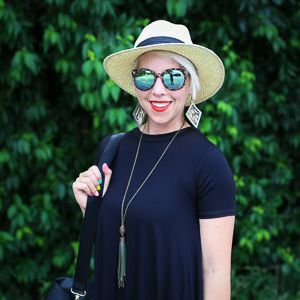 In these dog days of summer (almost fall), I feel myself leaning back towards my capsule wardrobe I wore last year. I loved it and think I'll do it again because of the no-brainer dressing it allows me. I'll have to do a follow up post soon with some new items I'll be adding to it this year, but be looking for some more of the same! Cute! 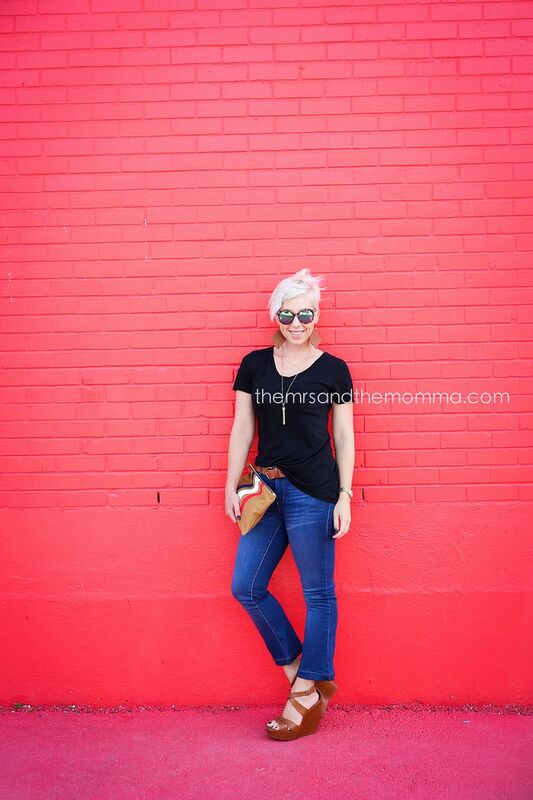 I'm headed to Houston in October for my 30th and hoping to visit this wall! What time did you go? We went around 3pm...not too busy. I actually wanted to do a whole photoshoot there with the fam, but the kids weren't interested. I heard they're looking to do them in other cities...would be cool to have an Austin one!